In some parts of the world, no small animal veterinarian is available. In other countries like here in Brazil, there are plenty of small animal veterinarians in big cities like Rio and São Paulo, but none in isolated rural areas like parts of the Amazon. Whether you live in an area without a vet, or are just traveling with your dog, sometimes your pet needs help and no one is available. A lame dog needs veterinary care, if available, and if not needs some some assistance. 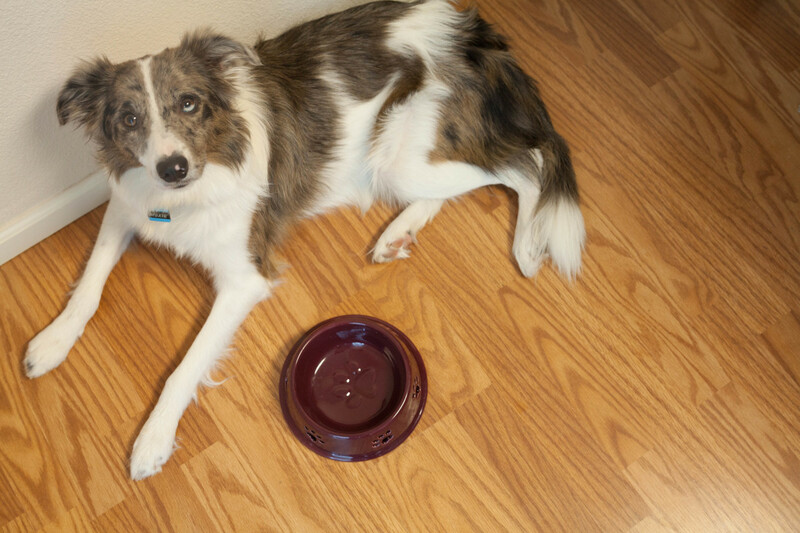 When your dog starts limping it is best to find out what is wrong as soon as possible. If you are in an isolated area, you might need help (from a feed store, pet shop, or pharmacy), but you can do a lot yourself. Find out what is wrong, so you can do what needs to be done, but no more. If your hunting dog only has a cut on her pad, you do not need to give her steroids. A pet with a bee sting does not need to be treated for a broken bone. Find out first why your dog is limping; not all lameness looks the same. If your dog is in so much pain that she cannot even put her weight down, it will be obvious which limb is affected and your exam can go on from there. If not, watch her walk for a while and you might be able to tell where the problem is. Sometimes a dog will only be lame when walking, and she will raise her head up when she puts the sore leg down, then lower it down again when walking on the good leg. Sometimes a dog will have a stiff limb when walking but show no other signs. Once you have figured out which leg is causing her problems you should do a better examination. Look at the pads of the foot and see if there are any obvious cuts, sores, or swellings. Is there anything stuck between the pads, like a thorn, or rock, or an inflamed tick? Check the nails. Squeeze each nail at the base and move it around a little; sometimes nothing is obvious but your dog will cry out when you touch the painful nail. Flex the foot and then the wrist, the joint above the foot. If your dog has been licking at one spot, that may be the site of the injury, or maybe even a sign of arthritis. 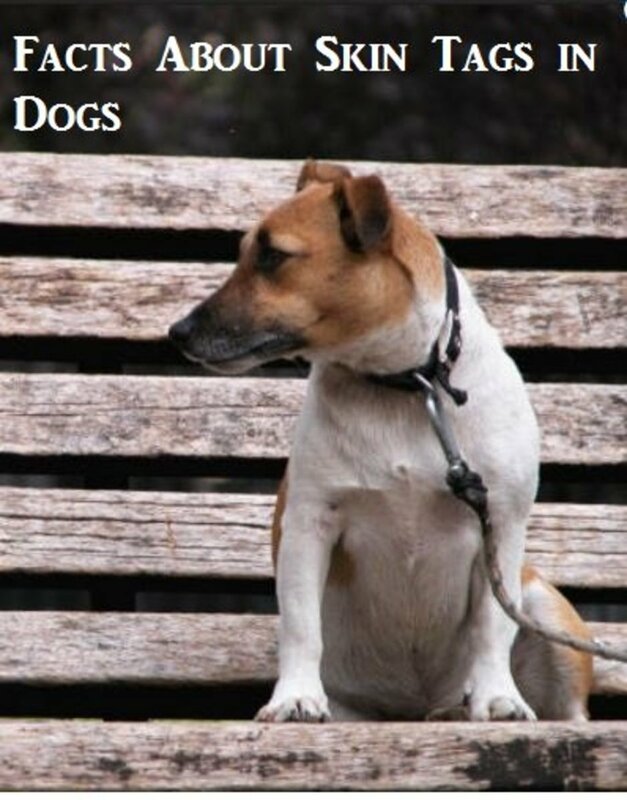 Arthritis is much more common in older dogs but can even affect young dogs. Run your hand up and down the long bones of the leg. If there is a broken bone or other injury, there may be swelling and your dog may yelp or snap. Rub the muscles of the shoulder. Gently rotate the whole leg in a circular motion. Check the pads for any cuts, abrasions, or swellings. Run your fingers between each toe to check for thorns, gravel, or injuries to the soft skin of the webbing. Examine each nail. Look for cracks, and touch them all to see how your dog reacts. Flex the bones of the foot and then the joint just above the foot. Open and close the hock (the joint just above the foot). Run your hand up and down the long bones of the legs. Do not assume that any swelling is a broken bone, since a bee sting or snake bite can cause swelling too. When you get to the knee, pay special attention. Tiny dogs are more likely to have a kneecap that slides from side to side. If it is “stuck” the dog will be lame. Active dogs are more likely to suffer from torn cruciate ligaments and the knee bones might slide back and forth. Rotate the leg at the hip. If the dog is in pain she may be suffering from arthritis in the hips. Injuries to the pad. 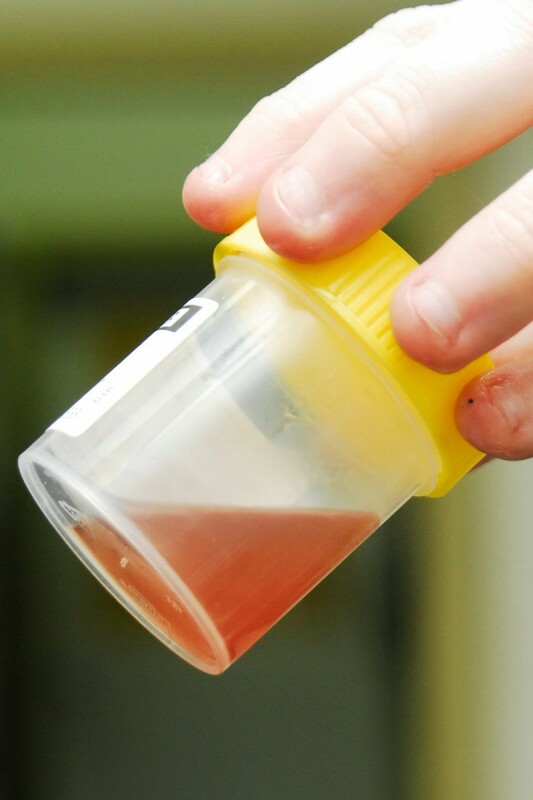 Clean the wound with water, physiologic saline, or dilute hydrogen peroxide. Disinfect it with dilute tincture of iodine. If she has a deep wound it is a good idea to pack in a little antibiotic ointment and, if the dog is the kind that licks at her wounds excessively, wrap it with some gauze and you can even put Vetrap on the wound to keep it all in place. If you do need to use Vetrap, make sure you leave the toes visible to watch for swelling when the bandage is too tight. If you are not sure how to do this, just leave the dogs wound clean and unwrapped. 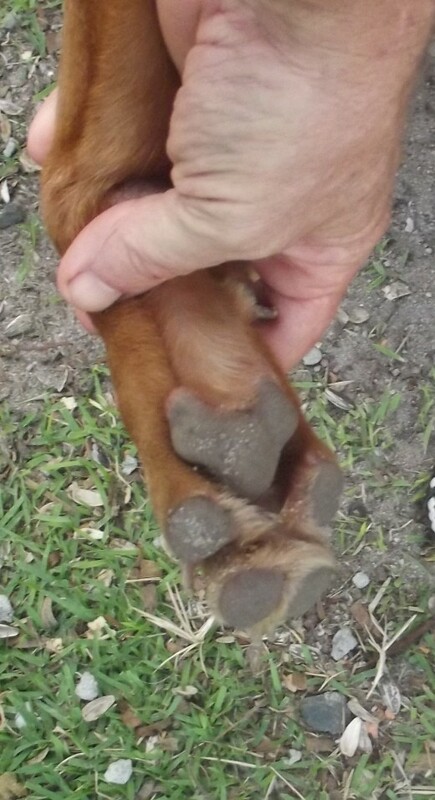 You can cover the foot with a sock when she goes outside to “do her business” but take the sock off as soon as she is back inside. Injuries to the webbing. If your dog is injured in the webbing, that delicate skin between the toes, remove whatever is causing the injury and then wash the area out with water, saline, or dilute hydrogen peroxide. Sterilize it with betadine (or chlorhexidine if you have it available), and it should be okay. If it is bleeding the foot will need to be wrapped; just make sure the toes are visible to watch for swelling. If you do notice any swelling, remove the bandage immediately to prevent gangrene. Injuries to toenails. Any time a toenail is injured, you need to make sure and check all of them since any long toenail can get caught in grass or weeds and become injured. Clean the injured toenail, and if it is bleeding wrap it up for about 15 minutes or until the bleeding stops. Sore joints. Any joints that are sore should be massaged and wrapped up for at least 15 minutes in a wrapped ice pack. Some of the massage gels available help a lot but be sure to clean the gel off after you are done so that your dog does not lick it off. If you are not sure what kind of knee injury your dog has and you need more details on that problem you can read more about first aid for cruciate injuries. Broken bones. If the dog has a broken long bone, the best thing you can do is keep her a quiet as possible. Your dog will need to get up sometimes, of course, and to help this you can apply a temporary splint with a magazine held in place by duct tape. This “magazine-splint” is very temporary, and should not be left on all of the time or it can cause ulcers where it rubs against the body. Read the section below on antibiotics. Snake Bite. Any swelling over a bite could be a bee sting, an insect bite, or even a snake bite. Where I live, many of the large farmers keep snake bite antivenin on hand for their cattle, and know which vipers are most likely to bite. A dog that has been bitten, however, may not survive like a cow would, because of their small size relative to the amount of venom injected. If you see a swelling, clip the hair above the wound and look for the type of bite (insect or snake). Give the dog an antihistamine right away (like diphenhydramine, 5mg/kg) but do not give any aspirin for the first day since bleeding may be severe. The wound will probably become infected, so if he survives the effects of the venom he will need antibiotics. Bee sting or insect bite. A bee sting or insect bite will probably get better by itself but some insects cause more swelling and pain than others. If you do not know the common stinging insects in your area, be sure to ask. If you have an antihistamine, you can give your dog a dose (oral diphenhydramine, 3mg/kg twice a day) to reduce the swelling and make the pain less severe. Antibiotics. It is difficult for me to recommend any particular antibiotics since there are so many different formulations available in different countries. If your dog has a broken bone she might need antibiotics but you should consult a local pharmacy or feed store to find out which suitable antibiotics are available in your location. I wrote this article because many of the people I have met out in the country have no access to veterinary care for their dogs. If your dog is lame, and the problem is not obvious or easily treatable, please visit a small animal veterinarian if you have access. Some problems cannot be diagnosed except with blood work or an x-ray, and some dogs will have conditions that will require surgery. A sore joint may be due to a tick borne disease, and no amount of rest will help. A sore leg might be broken because of osteosarcoma (bone cancer), and if it is not treated promptly and aggressively your dog is going to die. Do everything you can. Your dog is depending on you. Some causes of lameness can be very painful and even the calmest dog might snap without meaning to. This video describes how to apply a muzzle using the gauze that you should have available in your dog´s first aid kit. My five-year-old lab was running through the yard and suddenly start yelping and wouldn't put weight on his rear right leg. I examined it and nothing seems broken. He let me bend all of his joints, but he won't put any weight on it. I don't want to rush to an emergency vet if it not needed since we live in a very rural area. Should I wait a day or so to see if he ends up putting weight on it? My beagle won't put weight on his hind foot/leg. After laying around for a few minutes, he will stand up but will walk with a slight limp till he's loosened up. I've checked everywhere, and he shows no sign of pain. Do you have any idea what could be wrong? It is also possible that he has a patellar problem, but that is not as likely to disappear as he warms up. I recommend having his leg x-rayed to look for deformations or problems with the femoral head. My three-and-a-half-month-old puppy spent yesterday roughhousing with an eight-month-old puppy. At first, he showed no sign of being hurt (i.e., no yelping, no sign of not wanting to roughhouse, etc. ), but this morning he woke up with a slight limp on his front right leg. There was no sign of any pain or discomfort when I touched his leg and foot, and he's still happy to run and jump off the sofa. He still has a slight limp, but the limp gets better once he’s loosened up a bit. What could be wrong and how can I help? Palpate the joints on the front leg with the limp as soon as the puppy wakes up. Does one part of the leg feel more painful than the other? I cannot recommend giving a little puppy aspirin even if you do find it. Your vet might want to give your dog pain medication, based on the exam, but if this continues, it is important to have him examined first. If you do not, and the puppy is suffering from an injury to the growth plates in his front leg, he might develop a deformed leg later in life. My eleven-year-old staff cross is limping, but has no sign of pain when touched. What could cause this? The most common cause of lameness in an older large breed dog is arthritis. IF she is not painful when touched it is probably early. 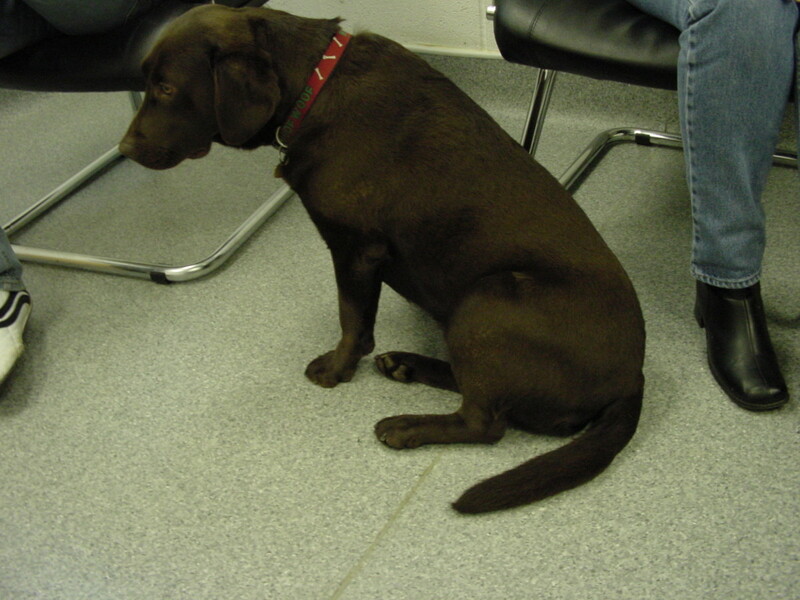 Take her to your regular vet and have her leg x-rayed to look for signs of arthritic changes in the joints. My 7-month-old Pomeranian limps on her back leg sometimes. She will still run and play but will limp ever so often. I have checked her pads and nails, and she seems to be fine. Do you have any idea what might be going on? She’s been limping on and off for three weeks or so. The most common cause of limping in a tiny dog of that age is a luxating patella. That is when the kneecap moves out of place and gets "stuck." The dog will limp until it moves back into place. It is painful. It will grow worse with time. You should read more about this and get your dog examined. My dog is limping. Occasionally, she walks on her foot, but even then when she stands, she holds the leg up. She will run on it because of her anxiety, but then limp. What do I do besides bring her to the vet? My pit has been limping for about ten days. I went through all of the steps in the article and he does not wince or seem to be in pain, other than limping. Should I take him for a vet visit or if I should wait it out longer? You do not indicate where the limping is, or how bad it is. If your dog has been limping for ten days he is probably in pain, so I would recommend taking him into your vet so that his knees can be evaluated. It might be something very minor and he might do okay after a simple anti-inflammatory injection. My fifteen-month-old dog has been limping on his front leg, but will put pressure on it, and it doesn't stop him from doing anything. What could this be? I have also checked for pain and swollen areas, but there is nothing. Since you have not found any swelling or painful areas, it could be a pulled muscle or an injured joint. If you take your dog to an emergency clinic they will probably give him an anti-inflammatory injection. I think you should hold off it he is not in pain and just rest him. If he is used to getting up on the couch, pick him up. Do not take him for a long walk. If this is still a problem tomorrow, you can give a first dose of aspirin as recommended in the article. See how he does with just rest first. My puppy jumped from my kid's bed and hurt its front paw. Joints are all bending with no pain but later on, I noticed a toe is swelling. It has been 24 hours and now refuses to put any pressure on the foot. What should I do? He needs an anti-inflammatory to decrease the swelling and pain. With such a tiny and young puppy though I am hesitant to suggest you use an over the counter solution. Please make an appointment and take him to your regular vet. I was walking my dog and all of a sudden she jumped up and started to cry. Now she is limping. Could it be a possible insect sting? An insect sting is certainly a possibility. You do not mention what leg she is limping on. There are many more possibilities. Is there any swelling or localized pain? If there is a spot you can treat, you can try putting a cold pack on it and see if your dog feels better in the morning. If she does not, or you do not find anything that can be treated, she will need to be examined by your regular vet. My dog is limping on his front leg and sticks it out to one side so that he does not put any weight on it. The elbow and shoulder are hot. He just turned 5, so it's not elbow dysplasia, and our vet says he's at risk for arthritis because of a former injury to a different leg, but she also says arthritis doesn't appear that quickly. What's wrong with him? Although I cannot diagnose your dog based on those clinical symptoms, I can suggest some treatment options. Arthritis can occur in young dogs, and may appear suddenly because we miss the signs of it coming on. 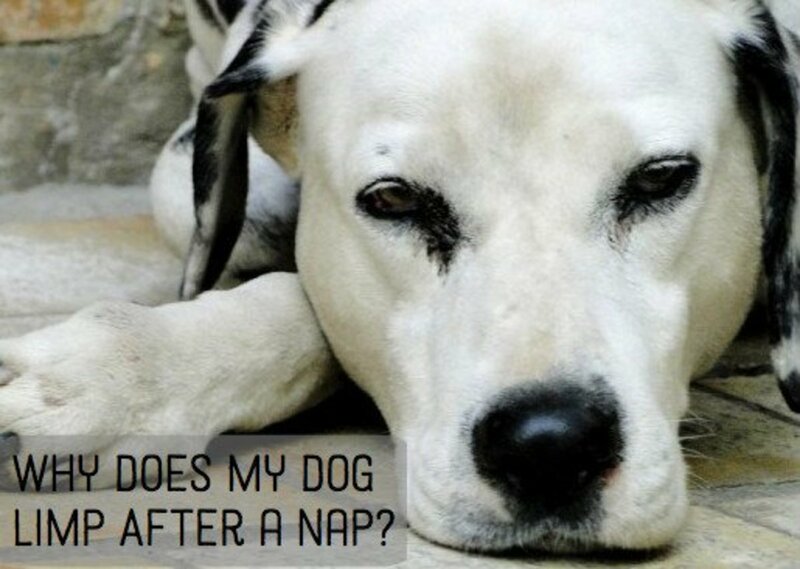 Conventional treatments are NSAIDs like aspirin (about 10mg/kg every 24 hours) or some of the newer NSAIDs that you will only be able to get through your vet. I do not recommend Rimadyl. If this condition does not seem to be getting any better in a reasonable time period (a month or so) you really should try to refer him to your closest veterinary college or referral orthopedic practice. 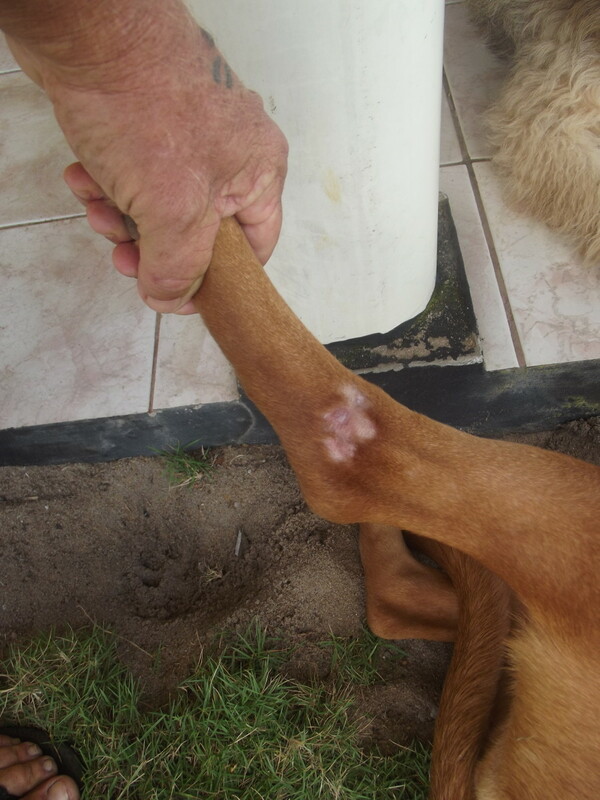 It is possible that he has an injury to his joint that your regular vet was not able to identify. My frenchie won't put his back leg down on the floor. He will sleep on it and put all his weight on top of it. He isn't crying or yelping. Is this serious? If you have checked everything on the list, and still can not find anything that is wrong, it is probably the knee. Frenchies are prone to luxating patellas because of the way they are built. Is it serious? Yes, it might eventually need surgery. Is it an emergency? Not at all. Many dogs go for a long time with a luxating patella, but when it is bothering them, they have to be carried. Get him to your regular vet when you can and have him checked out. Make SURE that everything else is okay by checking the pads, the toes, etc., as described in the article. There is no way I can diagnose this over the internet, so I am depending on you to do an exam so that we can be sure it is his knee that is bothering him. My staffy is limping on his back leg. We cant get to the vet, and he will not stop drinking water and moving around. What do I do? Try your best to keep him quiet. We are camping and cannot get to a vet, but our Rottweiler is limping on his back leg after playing with our German Shepherd. His back leg looks okay, but his knee is kind of touchy. What should I do? If you go to the article at https://hubpages.com/dogs/dog-cruciate-ligament-re... you can see some first aid recommendations for what is most likely a damaged cruciate. You will need to go to a vet later for definitive diagnosis, but the most important thing you can do now provides your dog with rest. Do not let him go hiking with you, do not let him play with your GSD, and you need to pick him up and let him down out of your car. 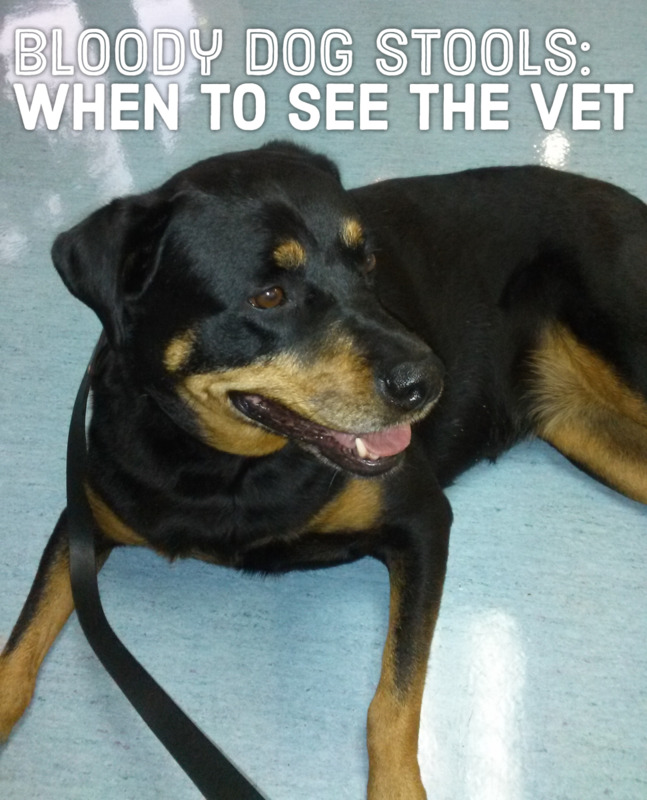 If you do not provide strict rest at this time, your Rottie´s knee will get even worse. If it gets worse, he will have problems for years to come. My nine-month-old German Shepard started limping on his rear leg, and he won't put pressure on it. He also won't eat his food. I think it may be his hip, but he is very young. Do you have any ideas? It might also be a knee injury. The best thing you can do for your dog is let her rest. If things do not get better, you will want to have her examined. My 3 year old Golden Retriever wasn't putting any weight on her left front paw this morning. When walking, sitting or standing, she would hold it up. If she's lying down, she'll move her foot around without any apparent pain. I checked her pads and nails and didn't see anything, though she became uncomfortable with me touching her paw. When I gently manipulated her wrist, she yelped in pain. There doesn't appear to be any swelling, broken skin, or bones that seem out of place (I compared to her other leg). She'll eat and drink at meal times, and appears happy and her "usual" self unless I'm touching her paw/wrist. What do you think could be causing her limp and pain? Megan, how can you tell it is not the cruciate ligament? It can be strained but not ruptured, in which case the signs are mild. That is the best option for an injury to the knee too. The best thing you can do for him is to allow adequate rest. I am not sure for how long as it depends on how he recovers. If it is quick, keep him quiet for a few more days. If this continues, he will need to go to the vet for further diagnosis and maybe an anti-inflammatory injection. My Pyrenees/Golden mix started limping on his back leg yesterday. I've looked at his feet and toes, moved his knee and hip, he lets me do anything and doesn't seem to be in pain - doesn't pull away or yelp when I touch any part of the leg. He was even jumping around and running with my other dog. But he won't put his foot down when he pees (he normally stands on both and squats) and doesn't put a ton of weight on it when standing or turning around. There's no swelling that I can see. I've read the cruciate ligament article and it doesn't seem to be that, and I read the diagnosing a lame dog article as well. Do you have any other thoughts? If it's a pulled muscle or something would that heal on its own? Samantha, it may be arthritis (secondary to an old injury), a cruciate problem, or many other things. If you are taking him to the vet make sure that he is not running around. Rest is the best medicine at this time. My dog wass hit by a car 3 yrs ago. He's started limping and now wont put weight on back leg. Having a hard time getting up to stand. No yelping tho wen i touch it/rub it,or wen trying to get up. Vet appt. in3 days. What do til then. Hes very uncomfortable. The most common cause of hind limb legness in a Yorkie is a luxating patella. It may have been normal during the exam, moved out of place again later. Also consider Legg-Calves-Perthes disease, an aseptic necrosis of the feroral head. He will need radiographs to confirm this diagnosis, so you will need to take him to your vet. Today my 14# larger body frame, so not overweight, Yorkie dog began dragging his left posterior leg that seems to have become flaccid. My human doctor husband did a ROM and joint exam. There are also no known or obvious injuries either. He was walking fine yesterday. Dr, possible causes of such symptoms ???? He’s up to date on all vacs and heart worm treatment. No routine meds either. Bomb, if you are taking her to vet on Wednesday I would recommend waiting. At her age you need to have her shoulder x-rayed to make sure there is not something more serious going on, and before giving her a NSAID like aspirin she needs a thorough exam and possibly blood work to make sure there are no underlying problems. Just be sure to lift her up to the bed and couch, and do not let her jump down and injure herself even more. Jasmine, he needs to be looked at by your vet so at this point all I can recommend is rest. He may have a hairline fracture of one of his metatarsals or may even have a ruptured anterior cruciate ligament. Hi my 4 month old Lab/Blue Healer mix jumped out of our car window 2 days ago we were only going about 10 mph. He hasnt been walking on his hinde leg since. He will use it to scratch and put some weight on it when he uses the bathroom. The closest hes came to walking on it was just tip toeing. He doesnt seem to be having any pain. He layed around a lot the day it happened. As of today hes acting the same as he was before. The only area that seems to bug him whem we touch it is his paw. Theres no swelling or cuts/scraps anywhere. We really just cant afford a vet right now and wont be able to for a few weeks. Any advice would be appreciated. 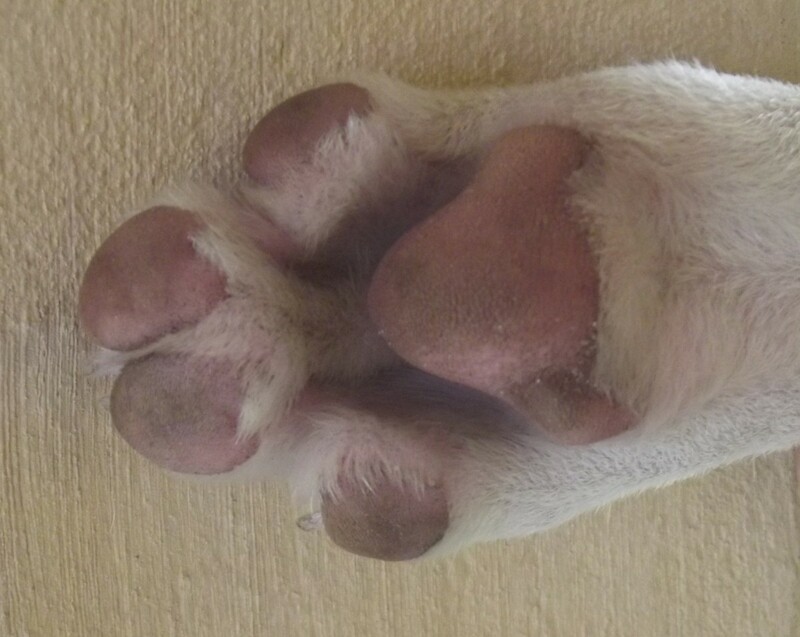 Baxterandbonnie--the most likely cause is a soft tissue injury or a bone injury in the paw. If you can not take her to the vet, the only thing you can try is rest and possibly an anti-inflammatory like aspirin. The best thing you could do though is take her to your regular vet and have the paw xrayed. If the vet does not find anything he may want to put her on a steroidal anti-inflammatory drug. Kerry, the tick borne diseases that your dog is prone to will vary depending on your area. Lyme disease and Rocky Mountain Spotter Fever are two examples. Tick borne diseases can often be treated with antibiotics but lameness does not show up in most cases until the arthritis is pretty advanced. It is much better to prevent the ticks from getting on your dog, or removing them each day to prevent them from being on long enough to pass many of the disease organisms. What if is a tic born disease? What can you do?